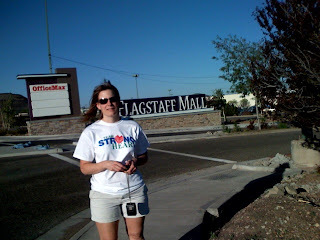 Channel 4's Heather Brown reports on Team Strong Heart! John, Amy, Melinda, & Jay -- We did it! That's right. We found our way across the country, crossed the finish line, and returned everyone home safe and sound. Now it's time for a little celebrating. Trailhead Cycling and Fitness, our sponsoring shop, will host an open house this Saturday (6/28) at 6PM. The TSH raffle drawing will also take place at this time. Last chance to buy tickets! TSH will be at the shop beforehand (early afternoon) offering Raffle Tickets, TSH Tee-shirts, and TSH socks. If you are interested in Team Strong Heart cycling clothes - orders are still being taken. Please keep checking in for updatd posts, and look at Tim's personal page which you can click on the right as well. Everything is sore. I imagine millions of micro tears, deep within my bones and connective tissu. My heart is slow, but pounding massively. 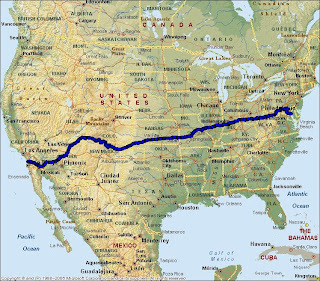 As I lay here in bed, I can literally feel each pulse of the heart and legs and lungs that just somehow got me across the country, by bicycle, in a bit over 11 days. The Race Across America, solo, is a unique metaphor and analogy for life’s ups and downs. Climb to descend, thaw to freeze, death and rebirth, every single minute of every single day. I’ve hand plenty of time recently to consider these ideas and what follows are just a few ideas spurred on by a simple guy with a simple goal, a crew with goals, a bike race across the country and what you come to understand at 3am in the mountains of New Mexico. Everything is connected. My body is held together by what quite simply are a system of levers, surface area, engines and the like. When one part of the system begins to fail, chafe, or otherwise draw-down, the another steps in for relief. Saddle sores are the bane of existence and the tiniest of problems will soon open the gate to hell for the rider who chooses to deny or ignore. Nothing is alone. Companionship is surrendipitous and often times completely unexpected. I count the cattle, the stars, cliffs and painted highway lines as my friends. Jim and Ryan are also now very important and we have shown that the true team draws closer with adversity and keeps the light shining on the lonely rider at all hours of the day. First light of morning reminds me that the sun also rises and shines for me and for every one in my life. Fatigue is relative. 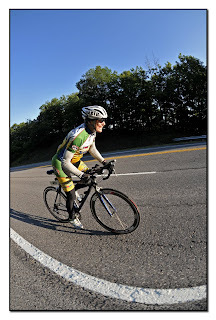 My fatigue was driven by hundreds of hours perched on my bike. The kids I ride for are born into a life of fatigue and pain and these things aren’t in the same universe. Bless my fatigue so that others might live well. The only thing bad thing about adversity is how you choose to respond. RAAM is about conflict, survival and finding moments of peace surrounding a mass of riders, crew, weather, technology, hope and failure. How we roll with the punches is by answering another call. Fight to get knocked down to fight again. Quite yer’ whining. The only easy day was yesterday is only true if yesterday was easier. 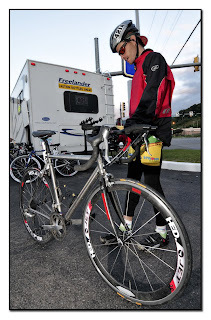 The only easy part of solo RAAM is that there is no easy part. There are no easy yesterdays in RAAM. There are days that work and then everything else. We define RAAM. 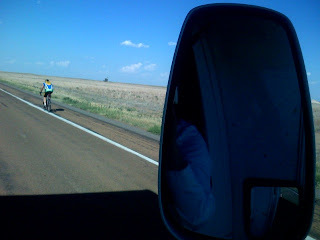 The Race Across America is defined by the racers, RAAM volunteers, the crew of each racer and the American countryside. The definition of RAAM changes each year because we are always changing, hopefully becoming better and treating each other with respect, dignity and kindness. RAAM inspires. The RAAM brings people from all walks of life together on a world stage that millions of people pay attention to each year. I am inspired by the quick and the bold and then I enter the race to inspire others. The effect ripples out from the center. The great effect of RAAM is that each year there are hundreds of “centers” and the ripples keep getting wider, traveling farther. RAAM perspires. Yep, you’re gonna sweat. In my case I sweat, I bled, I burned, I chaffed, I cried, I mumbled incoherently, I had Technicolor hallucinations that only ended with some rest, only to return later, I yelled for the sun to come out and warm me up and I cursed the wind pummeling me from the side. My vision is to stick with this thing and see where it goes. As I lay here, I’m already beginning to look at next year and see what that may bring. When we get back to Colorado I’ll be updating this blog frequently with tons of comments, pictures and thoughts on the race past. Your support and encouragement inspired me to reach my goals when the cards were down. Your phone calls, blog comments, prayers and hopes fueled my fire that sometimes raged like an out of control wildfire and sometimes smoldered like a wet log. You and I and our crew got there TOGETHER and that means everything to me, at the end of it all. I am moved by this last update from Michelle. Thanks everybody, it made a difference. What an amazing thing. Once again, the night was so difficult. The most difficult moment came around one in the morning. He just stopped. In reality he was riding really well. He just hit a mental wall. “Maybe I just need to sleep.” With that, he laid down. While he was resting, I checked the Team Strong Heart blog. Neil had called for people to send their thoughts to help Tim. I was amazed that there were 11 comments. I read every single comment to Tim that was on that one page. That is what gave him the motivation to keep going. I told him, you owe it to them. This is a blessing that these 11 comments came in at this time. It is so surreal to him. He just doesn’t believe it that so many people are looking after him. He doesn’t comprehend how big of a deal it is. The real news is that we crossed the finish line at 7:38 local time this morning. He is sound asleep right now. He had four slices of pizza, a shower and he passed out. It was an amazing night, and an amazing ceremony. He was riding really strong, we were feeling really good about the night. He was amazing in the hills, but as the night fell that was our difficult time. Behind the messages, we motivated him with the competition. Basically one rider ahead of us, Julio Paterlini, had time penalties. And we thought we could catch him. We used that as his incentive. We knew that was a good motivator for him even though he said that he didn’t care. Once we realized that catching Julio was out of the question, we just wanted to give Tim an enjoyable finish to the race. The last 100 miles were the toughest of the race. We kept telling him the quicker you get through it, the quicker it will be over. The crews kept leap frogging him through the night to keep Tim motivated. He rode the final 26 hours with only four or five 15-minute breaks. But by early morning the sun was rising, and we needed one last push from Time Station 52, just 54 miles from the finish. Kevin, Tim’s brother and crew member, got word we had one more surprise waiting for us. Tim’s Grandma, Nan, drove up from St. Augustine, Fla., to meet him at the finish line. She’s 85! We had to find something else to get him to go on; that was the last piece of motivation. Then we got a call from Annapolis. The fire department was there waiting for Tim (we didn’t set this up). They had two engines waiting for him at the finish. They gave him a huge salute as he pulled in. When he pulled in to the finish, Tim was crying. Everybody was cheering for him. He did tons of interviews. We felt like superstars, like NBA players showing up. The fact is, Tim is a superstar. In the history of RAAM only 200 or so of the solo riders have finished. He is one of those. Of course, our bike seat awed the RAAM museum people, and they want it for a display. They were so impressed with our creative—that is what the RAAM is about. Tim was so gracious, so happy as everybody talked with him. We started kidding him: You ready for your 15-minute nap? How about an energy bar? We hung around for a little bit; some people just off the streets were congratulating him. His Grandma had already booked a hotel room for us; she paid for everything. She is just so amazing. Tim took a shower, when he got out there were two big pizza pies waiting. He is fast asleep right now. He’ll wake up in a few hours for the awards ceremony tonight. He is a huge success. It’s going to take his body two months to heal from this. It is massive trauma to the body. I am completely exhausted right now and trying to keep my eyes open. Tim wants to write something for everybody. We’ll get that up soon. He says that now, but who knows if he’ll even wake up for the ceremony tonight. Thanks again for all your support! —Michelle Pearl, Tim’s girlfriend and crew member. Dictated to Jacob Harkins. HOLY COW!!! HE DID IT!!! Tim is in. Stay tuned for reaction and reports!! Way to go Tim!! Tim is less than 50 miles away from the finish line! Time to rest! or celebrate!? Check the standings! Tim continues to impress... incredible! Team is 15 miles away! Grandma takes a nap before the finish. 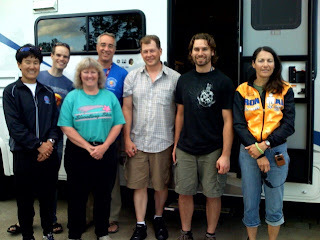 The crew, they are the dynamic part of RAAM that is behind the scenes making it work. They are incredible and have been incredible for Team Strong Heart. Way to go! So yesterday was a hit for Tim having his parents show up in Effingham. He was really surprised. I know it gave him deep motivation, but more importantly calmed them of their fears of what may be going on. Tim's parents are such amazing people, and to drive 4 hours just to see thier son for 10 minutes shows their dedication to his dream. Last night Tim road strong into the early morning when he went down for a short sleep in the truck. In the mean time, Gordon and I drove ahead with hope of getting some sleep. On the way we got a phone call that Tim was expressing boredom. We immediately pulled off to a McDonalds for some Wifi, and downloaded some audiobooks and podcast of his favorite comedian Brian Regan. He really loved it. Unfortunately as Gordon and I thought we were being prodctive towards our sleep location, we realized that we made a wrong turn somewhere, and were lost. This became so frustrating as every moment for sleep is prescious, and now we were wasting this opportunity by trying to get back where we needed to meet Tim and the crew. After some amazing GPS and map reading skills by Gordon, who at the same time was trying to calm my frustrations we made it back. It was shift change and we dozed for 2 hours until we were off again. 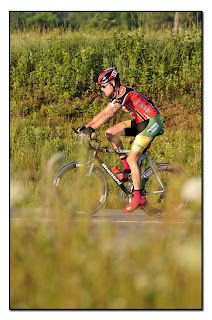 Tim got back on the road at 4 a.m and was looking strong. Our new sleep plan seems to be working, He isn't getting double vision, or going in this weird mental state as he was before. On the other hand, Gordon and I were in oversleep heaven, and thats when the giggles came out. It didn't matter what was said, and giggle away. This was when I opted to try my first redbull, and WOW that stuff works. Tim rode hard, and made it to Bloomington,Indiana by mid morning, which he was excited about. He took a short nap, we switched crew, and he was on his way towards Ohio. Gordon and I moved ahead to try and get sleep as usual. We drove 150 miles forward with a great game plan for the team and of course there was no hotels. So in a pinch we back tracked on the route and found this true dive of a place that after checking in we immdeiately checked out due to the horrid smell and conditions. Once again we just couldn't find a moment to sleep. We have now moved much more forward on the route so we can rest and be preparred for Tim soon. Today he and Ryan Corry road together for a little bit going towards time station 40. I haven't talked to Tim personally about it, but it sounds like there might a little motivation in the air for each of the riders. For me I am feeling a little emotional challenges as I watch Tim push the pedals. I see his struggles, his gains, his pain, and his push, and it all amazes me. I have moments where I can't understand why someone would push their body to thse limits, and then I have other moments where I just can't stop watching his beautiful style and grace on the bike, and amazing drive that inspires me in too many ways to describe. We only have a little over 500 miles to go, and I am confident Tim will make it. It is just up to him what the game plan will be. His crew will be behind him every step of the way! The team is within 24 hours make that 20 hours if everything goes just right. This time will fly for them; they are almost in! Tim continues to ride toward his goal... amazing!! The four person team has a great rhythm going and has managed to pull away from the third place team. If they keep a steady pace they should have second place locked up. The spirit of the team is calm and happy. They have a good thing going and hope to keep it up until the finish. Only 1000 miles to go! We reached the Mississippi three-and-a-half hours early. We were really excited; that was a big deal for him. We are just so exciting getting to the Mississippi; this is a really big deal. This was part of the disagreement we had with the two team members who left us. They never thought he could get there. We knew all along he was going to get there. It still was tough, though. Tim had a little bit of an emotional breakdown last night. He was confused. There are always these ebbs and flows. But we got him back to healthy by the morning, and that was our goal. And yet again, we have come up with a new game plan for his sleep plan, but it is a secret. We have been doing these long days, 18 hours or so. It gets really dangerous toward the end. The new plan is awesome, but it’s a secret. It isn’t nearly as exciting as our seat, which Tim says over and over; “Saved my life, the seat has saved my race.” Part of it is he forgets he already told us that, but he says it’s like riding on a sofa. Beyond tweaking schedules and the seat, we are always looking for new ways to find motivation for Tim to help him along. Earlier today, we were going from time station 35 to 36, and I was looking at the race stats on Tim’s iPhone, because I am constantly checking the stats … I thought “oh my god, the Team Strong Heart relay team should be really close. Literally two seconds later, they were right there. The RV saw us, passed by and got out and clapped. Tim got off his bike for a minute and everybody said hi. It was really good to have that sense of team. This helped him more than they know. Then we have this other exciting thing he doesn’t know about. Gordon and I are heading to the next check point while the other support vehicle is with Tim. Tim’s parents are driving down and are going to be there at the checkpoint. 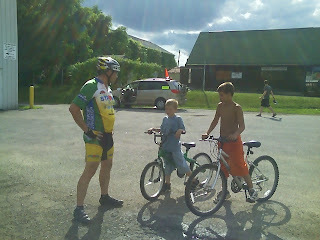 He may think he is hallucinating when he sees them.We’ll even give him a few minutes off the bike to hang out with him. We are going to also ask another local fire department to pull out the engines and give him a little support (he’s a Boulder firefighter). Hopefully they won’t get a call this time. Basically, this is a really exciting time station. The distractions are going to slow Tim a little, but we have that factored in. We have to balance time off the bike with giving him motivation. Seeing his parents is well worth the few minutes it will slow him. Article on Tim in the Yellow Scene Blog. Interesting day for the team. Lots of detours and changes. They are starting to feel the ride but I reminded them that they will smell the barn soon. When you get close to the end you start to speed up. They are almost there! If you look at the profile of this time station you can see why I call it "The Pins." 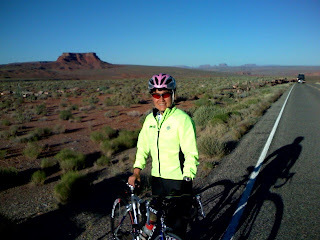 This was the hardest part of RAAM for me. Tim is through it and now can simply ride for a while and the team is in it right now and seem to be doing great. They have extended their gap and look to be moving right along. The crews are doing a great job at keeping the riders' heads in the game. The crew is critical and they are doing a great job! Keep it up! So let me back up to yesterday and how we got to today. Tim approached the Sedgwick Fire Station 33, and as soon as he pulled in when they were going to do this great display of lights and sounds, they OF COURSE got a call. Yes our luck. But we still hung out there, and these guys were the nicest most generous people that just really made our day! We got to give Tim a little lunch, a bathroom, shade, massage, and some chit chat in the environment he is most comfortable with for motication. Then he continued on, and Gordon and I stayed, did som wash, took ice for the coolers, and got update the blog. Thanks again to all the guys at Station 33! That was a start of a day that just seemed perfct. Tim was cruising, and told us this was the best day he was having. All saddl e sore pain is gone with our new seat, and minimal knee pain. He said he just couldn't believe how smooth things were going, and how strong he feels. We pounded through 280 miles by the end of the day, and unfortunately had a little mishap that was a very close call. Once Tim starts to get into extreme tiredness he becomes real foggy, and we have to watch him closely. We were doing a bottle hand off and as he went to ride away from the vehicle, he lost balance on the ruts along the line of the road and his bike got stuck under the wheel rim of the vehicle. I truley thought it was all over. BUT...once again it wasn't. We took him to a hotel where Eric (crew cheif) was sleeping, and he took care of everything. His bike was fine, but a defenite scare, and a yucky way to end an almost perfect day. This morning was tough as Tim was very groggy and slow to wake up. A bit irritable, but always kind to us. However an hour later he showed his strength and told us wants to make it to the Mississippi River by the evening. Tim amazes us every minute of the day. I truley don't know how he just pedals that bike non-stop for hours on and the way he does. This morning when in his waking up, cranky state he asked me why he's doing this, and I reminded him how through this experince he will always know his amazing abilities to be a fighter, and a surviver for any challenge in his life. Oh, and don't let me forget. So yesterday afternoon, as Tim was powering through Kansas he tells us how he is having hallucinations, and tried to show us the cartoon animals in in the road. Yah that was when we put his sleep plan together. Speaking of sleep, I think its time for that. See ya on the other side of the Mississippi next time we speak! Weather is on the minds of the Team tonight. It is off to the north but the possibility of storms is in the forecast. The team continues to motor on. They are maintaining a half hour lead over Team Theraplay. Team Cycle Smart, who Strong Heart was battling last night, has fallen back and has yet to pass time station 29. So, Team Strong Heart has a strong hold of second place. We hope that Team Cycle Smart is all right. They were battling so hard. We have yet to hear from Tim today but he continues to impress. I talked to him on Tuesday and he was suffering; I am so impressed that he continues to roll, really it is unbelievable. Stay tuned! They have been closing all day and now they have it! Second place by 8 minutes! Way to go! Tim is moving right along as well! 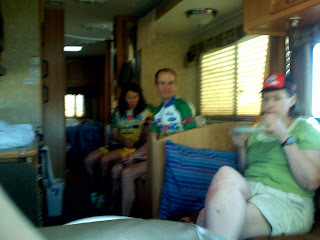 When asked how the riders were doing, Melinda chimed in with "I am hungry for the challenge." This was after she found out that they are closing in on second place. I asked Holly how everyone was doing and she said, "They are having a blast." Wow! I did not feel that way in MO! That is for sure! They have a very good thing going right now! Power on! John got jelly biscuits in Pratt. It has become a tradition that the McDonalds will feed RAAM participants for free. As silly as it seems, I remember that the experience at McDonalds provided comfort and a reminder that we were half way home. The service was incredible! 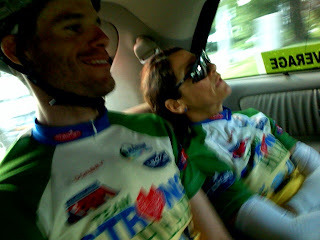 I guess that Team Cycle Smart was exchanging the lead with John and Melinda last night. They finally fell back and now Team Strong Heart is looking at bridging up to Team Theraplay for second place! Go Team Strong Heart. We are eager to hear from Tim and his crew this morning! Stay tuned! It is great to be back from the woods and tuned into the race!! The 4 person team is going great! The crew is good and they actually had tail winds in Kansas! Tim is in the adventure of a lifetime! What a crazy race! Early Saturday morning TSH passed another group and is making great time. They have the wind at their back at this point. The crew and riders are tired but doing well. I just got off the phone with Jay. They're in NM now, he said there isn't a tree in site! All brown with rolling hills. He said his legs have never felt the way they do now. I asked him how the team was doing, he said pretty well, although Melinda is having trouble sleeping and is tired. 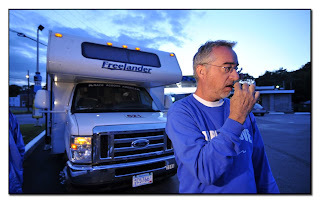 Jay says he sleeps in the van between shifts with Amy and has no problem falling asleep in the RV. He was getting ready to saddle up and said this is quite the adventure! Watch out... here we come! Let me tell you, 36 hours straight turned into 48 hours straight of working beside Tim. I was a non-functioning human being, but now I have had 5 hours of sleep and a big cup of coffee. A lot has happened since our last full update. Unfortunately, we lost two of our crewmembers. We had to make decision. Basically there was just a conflict of interest in the goals and the needs of Tim. This was for his benefit; we just allowed those crewmembers to move on. It was kind of a mutual thing, and Tim was OK with the choice. Needless to say, we had to quickly change the course. Again. We are down to four crewmembers, and it’s working out well. Before I go onto the real time updates, I must tell you more about Tim’s medical issues. Tim was really struggling because these saddle sores were really bad. This was near Taos, two days ago. Because of the saddle sores, he was getting this horrid knee pain on the right. He couldn’t really do a real down struck. He had these two injuries going on, and he was in so much pain because he could only pedal three strokes and then he had to coast. This came at the worst time. We had this amazing tail wind. Everyone was taking advantage of it, going 25 to 30 miles an hour. But because of Tim’s pain, he couldn’t. We basically put the face cradle on top of his seat saddle so we completely take all the pressure away from his saddle sore. We were all hysterical. His knee pain has almost gone away. Since then Tim has gained a ton of time. We have eliminated all medical issues. He is starting to gain time on all the racers. Our big adventure today was in Platt, Kan. This guy at the McDonald’s gives you what ever you want for free. He wants to support the RAAM. It was really cute. Tim pulls in the middle of the night. He had his big sweater on. He ate. Ooh boy, he ate. He ordered two breakfast wraps and the deluxe platter with pancakes, eggs and a large OJ. When we pulled into McDonald’s, everybody was jealous of our seat. We also put egg crates near his handlebars so he can just lay there in comfort. I’ll send pictures soon. At the McDonald’s, we got advice on the sleeping thing from Danny, the RAAM historian. We were about to get a hotel room, and Danny asked us to take his hotel room. We all got to sleep—it was so nice and generous. Because of the medical issues being gone, he is on the bike more during the day, so he can sleep more at night, up to 3 or 4 hours. We are strong now. Tim is strong. We are going to get in 7 hours early of the cut off at the Mississippi River. Tim’s whole attitude since we alleviated the pain is different. He is a racer now. We are in this 100 percent. He is heading toward time station 26. We are ahead of him by about two hours. He is with the crew behind us. We just passed Sedgwick Fire Department (Tim’s a Boulder firefighter). Tim’s going to be rolling through there in two hours; they are going to roll out the engines and do a little parade for him. That’s going to motivate him. He is excited to show people what he can do. That’s it for now. I’ll update you guys tomorrow. Sad news for Tim and his crew. These pictures are great. And what a fantastic idea. Thank you to the friends of Jay at Three Rivers Park District. Check out the latest update in Yellow Scene Magazine! Holly R sent these pictures from Flagstaff, AZ. 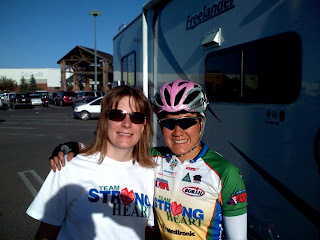 As of Friday morning, June 13, Team Strong Heart was keeping a 17.5 overall riding average. Their last Time Stop they recorded a 21 mph average. They have moved up into 3rd place overall. They have been on the road now for about 30 hours. We are all very proud of the team and we wish them safety the rest of the way! It's day 3, and the overnight crew just checked into a hotel in Pagosa Springs, Co where we have been up working non-stop for well over 26 hours. We are delerious, almost feeling drunk by the intesnse feeling of tiredness. 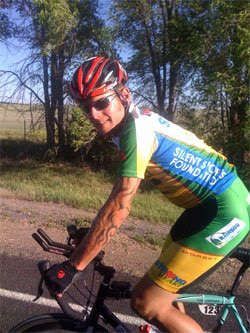 Tim is pedaling strong! 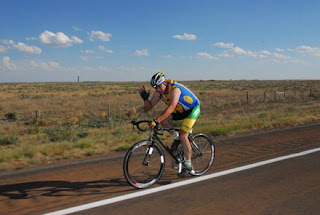 He is with the second crew change and flying from Durango to Pagosa Springs on a 70 mile stretch with a blessing from god of tailwinds 25-30 mph that won't stop. All the riders are taking advantage of this, so it's a big day for everyone. 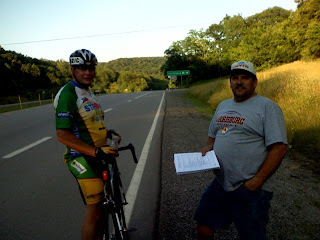 Last night we were back on the road at 7:15 RAAM time, and it was a painful start for Tim due to a real sore saddle. He pushed through the pain, and got into his groove powering through very tough climbing and terrain straight through the night going well over 200 miles by the sunrise. 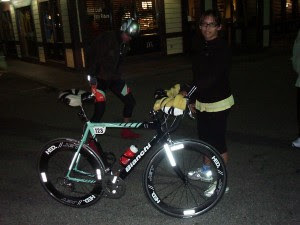 The crew pulled into time station 13 at sunrise where we got creative with a gel seat cover, and some tape, and Tim rode off telling us that he was teary eyed because he wasn't in pain for the first time. The crew swicthed a few miles forward while Tim kept pedaling. We drove ahead to write a few fun motivational words in chalk on the hills for him to read as he rides up. "GO TIM". The wind is still blowing, and Tim is still riding into the sunset after a little sandwich rest break. We are finally going to get some rest so we are preparred for the morning crew shift change, and are continually encouraged by Tim's strength, amazing abilities when on the bike, and dedication to this mission. Check out http://yellowscene.com/blog/ for more!! Everyone is on the Road! The Team is on the road! They started together as four from the start line and now are riding two up until the support vehicles can meet them at mile 21. John and Melinda are on the road and we are looking for their first time check! That must have been pretty cool to start together as a group of 4! Tim looks to have a good rhythm going as he is moving up the list of riders. Way to go Tim and crew! It looks like it is a good day. We can’t wait to hear from you! Way to go team!! 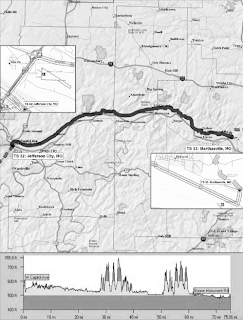 Be sure to check out the route maps at the RAAM route site. The video blogs are very interesting! Hey there everyone, this is Michelle speaking from Tim Case's solo crew. This is the first opportunity I have had to give you an update! Today is (wait, let me check) Tues June 10th. The first 2 days were packed with challenge, and adventure. Tim started out strong leaving Oceanside at 12:00in the afternoon Cali time in which he headed in to the prime heat and tremendous mountains of California. For the first entire day into the evening, due to narrow roads, all racers were not allowed to have direct support. Our first crew shift had to do what's called "leapfrog" support for Tim which means drive a few miles ahead where it is safe and have food, water, and nutrients waiting to manually pass to him from the road as needed. By the first night the effects of the heat, adrenaline of the race, and the terrain started taking its toll. The next 12 hours into yesterday posed physical and psychological challenges, and by 3 in the afternoon, Tim was questioning his deepest self. As a crew divided of people with many skills, we knew we had to take control to help Tim work towards his dream of completing this race. We decided it was time for a rest, and Tim needed to sleep in order to heal ad replenish his body to get him to a good place again. During his down time, the crew did calculations and came up with a serious stetegy and plan for Tim. We are the people closest in his life, and know how he functions. Tim is a type "A", go getter, and mythodical person. He needed a methodical plan, and that's what we devised. 2 hours later Tim woke up as a new man, and new desire for this challenge. Half the crew that had been up for now 36 hours stright stayed at the hotel to rest and get clean while the second half of the crew continued with Tim into the night. We restarted on the road at 8: 30 p.m and he road into the next afternoon 17 hours straight with minimal rests. Tim just got through his last time station with his highest rate so far, and he is feeling and looking strong, and did I mention is an amazing climber. The crew feels strong too, and has learned so much in the last 12 hours. We are determined to finish and to finish strong. Thans again to everyone who has supported us, and YOU are truley who keep Tim and Team Strongheart going! Check out Michael Todey's brother on You Tube! Here he is at the start! 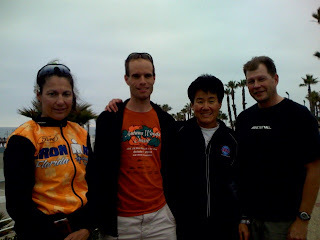 Oh, I almost forgot, the 4 person team has made it to Oceanside and is ready to relax before a big day tomorrow! Here is Tim before the start. First check on times and Jure Robic is the only one through the time station so far. I will update this soon! Tim is Ready for Takeoff!! Stay tuned for interview with Tim. He is about to head out on an amazing journey!! I got rid of my face!! Tim starts tomorrow and the team on Wednesday! Be sure to check the links! I didn't know that three riders were starting today. There are already riders on the road! I will try to start with a better picture... sorry. Be sure to check out Tim's blog as he heads to the start line tomorrow! This is the link for race reports! Bookmark this one! Follow this link to live reports! Here we go! Good luck to Team Strong Heart! The Crew has left town and they are on their way west! 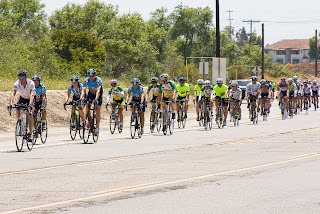 Click here for pictures and more coverage of RAAM! Final week! 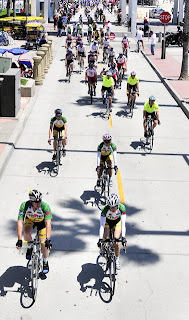 TSH leaves for RAAM this Friday!! Where has the time gone?! 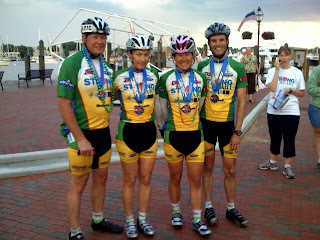 Team Strong Heart hits the road this Friday (6/6) on their way to the RAAM start line in California. The team competition starts June 11, be sure to check back for daily updates once the race begins. With gratitude, we would like to take this opportunity to thank everyone for the support we have received! 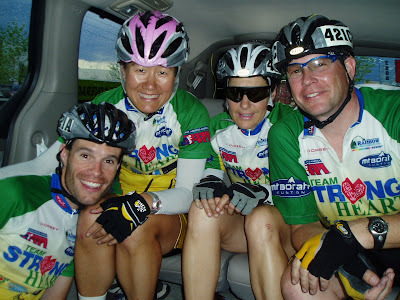 As the TSH four-person team we would also like to wish Tim Case, the Team Strong Heart Soloist, the very best for his RAAM attempt! Your continued support is still very important to us. You can still show your support by purchasing raffle tickets, Team Strong Heart apparel, or by cash donation in any amount! $5 Raffle tickets are on sale through June 28th (drawing date). Tee-shirts, socks, and TSH Mt. Borah cycling clothes are available. Net proceeds support TSH! Note: All cash donations are 100% tax deductible! 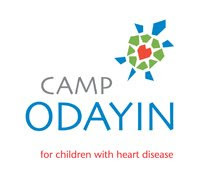 Thank you everyone who has supported out efforts for Camp Odayin in 2008.